Latest Pop Ambient winner from the side of the Kompakt stable that turns the lights off and soakes itself in a world of ethereal spaces, echoing memories and the sort of aural aesthetics that made the likes of Mike Ink’s Gas project and Thomas Koner so irresistable at the end of the last century. 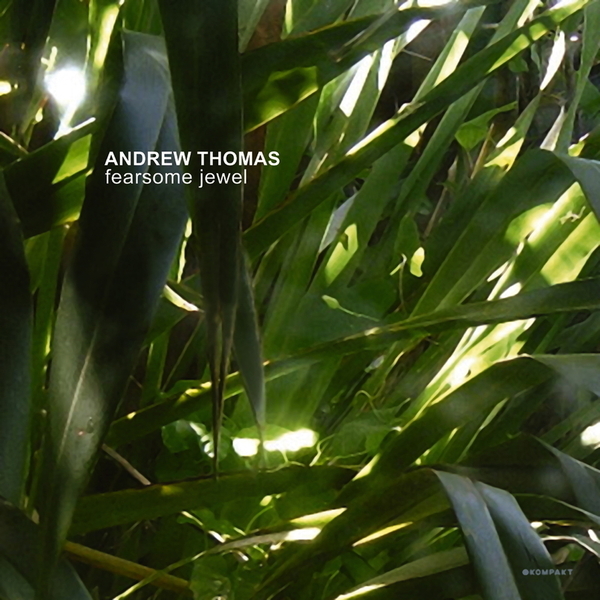 Andrew Thomas hails from the influential New Zealand school, which gave the world works from the excellent Signer on homegrown label Involve and US Car Park, amongst other delicately spun ambience. Andrew has grown entranced with the whole Cologne Pop Ambient scene, and this lovely release is filled with soft breezes and gauzey filmic influence, coloured by the tender moods of someone like Ulf Lohmann, but equally free to offer his own inputs. Gorgeous.